Details of some of the Magnificent﻿ Women from engineering history are given below. If you would like to suggest any others to be added to this list, please get in touch. Note that these are historical (i.e. no longer living) figures. Some of the Magnificent Women listed here are accompanied by an A4 resource sheet, providing details of their individual careers and external links that pupils can use to conduct further research. 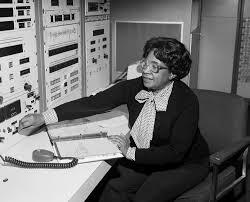 An African American mathematician and aerospace engineer at the National Advisory Committee for Aeronautics (NACA), which in 1958 was succeeded by the National Aeronautics and Space Administration (NASA). Star of the film Hidden Figures. 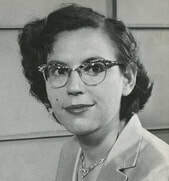 Mary Sherman Morgan designed the rocket fuel Hydyne that enabled the launch of the Jupiter-C rocket, putting the US into space. Born in Warsaw, Poland, Marjem was the first female Fellow of the Institution of Structural Engineers. Specialising in multi-storey structures, her buildings defined the skyline of Harare in Zimbabwe where she practiced. Her last major project, the Reserve Bank, was the tallest building in the country. Burns was an aeronautical engineer and glider pilot who became the world expert in Clean Air Turbulence and its effects on aircraft safety. She was the first flight test engineer to use strain gauges and was involved in the investigations into the Comet disasters in the 50s. 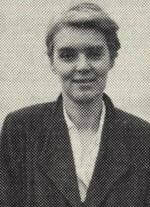 Burns was only the second woman to read Engineering Sciences at Oxford University, graduating in 1936. 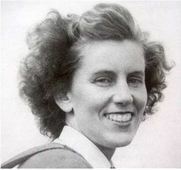 Lettice Curtis was an English aviator, flight test engineer, air racing pilot, and sportswoman. In early July 1940 she became one of the first women pilots to join the British Air Transport Auxiliary (ATA), remaining with the ATA until 30 November 1945, when the organisation was closed down. She gained her helicopter licence at the age of 77. Hedy Lamarr was best known as an actress but invented a device that would eventually revolutionise mobile communications. She developed a radio guidance system for Allied torpedoes that used spread spectrum and frequency hopping technology to defeat the threat of jamming. Although the US Navy did not adopt the technology until the 1960s, the principles of their work are incorporated into Bluetooth technology. Dr Weber was a pioneer in aerodynamics, worked at RAE Farnborough on the Concorde and other UK high speed aircraft. She laid the foundations for the world-leading position that the UK now enjoys in the aerodynamic design of civil aircraft wings. Beatrice ‘Tilly’ Shilling was best known for her work on carburetors at the Royal Aircraft Establishment during the Second World War where she developed a valve to stop the Merlin engine stalling when diving. She was also a record breaking motorbike racer. Pauline Gower was a British pilot and writer who established the women's branch of the Air Transport Auxiliary (ATA) during the Second World War. 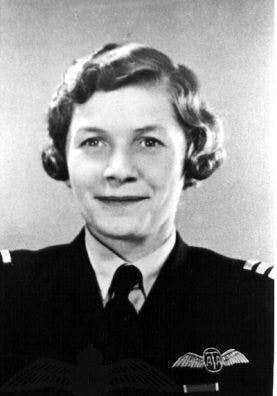 In 1936, Gower was the first woman to be awarded the Air Ministry's Second Class Navigator's Licence. Later that year, Gower and her colleague Dorothy Spicer ('daring aeronauts') presented a technical paper at the Women's Engineering Society Annual General Meeting on the treatment of metals for aircraft engineers. Watch Spitfire Sisters on Youtube here to learn more about her incredible life. Read the tribute to Dorothy Spicer and Pauline Gower, written by Claudia Parsons, here. Aviator and aeronautical engineer and only the second woman in the world to qualify as a ground engineer. Ran an aeronautical business entirely by women, despite severe economic depression. Jacqueline Cochran was best known for her racing abilities and classed as one of the best of her generation. Amy Johnson’s talents and determination extended beyond flying, as the first woman in the UK to be awarded the Air Ministry’s ground-engineer’s license. Celebrated internationally during her career, her remarkable legacy continues today. Claudia Parsons was one of the very first women in England to graduate in engineering and later became the first woman to ‘circumnavigate the globe by car’. She studied at Loughborough University. Read her Magnificent Women Resource Sheet here. 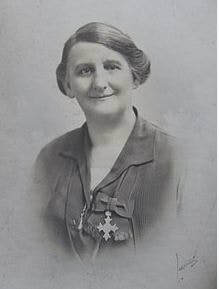 Dorothy Buchanan was a Scottish civil engineer and the first woman member of the Institution of Civil Engineers in 1927. She was an engineer on the Sydney Harbour Bridge in Australia, the Tyne Bridge in Scotland and the Lambeth Bridge in London. Amelia Earhart is most known for being the first female to fly solo over the Atlantic Ocean. She disappeared over the Pacific Ocean during her attempt to fly around the world. Frances Beatrice Bradfield was an aeronautical engineer at the Royal Aircraft Establishment (RAE). She worked at RAE Farnborough, where she headed the Wind Tunnels Section. 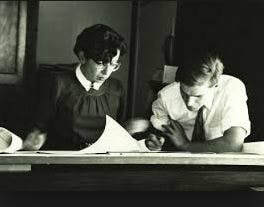 Here she mentored many of the younger male engineers who joined the RAE. In December 1941, Bradfield was one of the two female Associate Fellows of the Royal Aeronautical Society doing "important work" at RAE Farnborough. By 1946, when Johanna Weber joined the Low Speed Wind Tunnels division at RAE Farnborough, Bradfield was head of the Aerodynamics Department. Bradfield's female colleagues at RAE Farnborough included Weber and Beatrice Shilling. 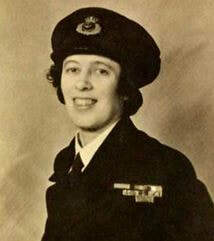 Hilda Lyon was a British engineer who invented the "Lyon Shape", a streamlined design used for airships and submarines. 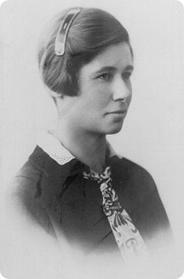 She graduated in Mathematics from Cambridge in 1915 and went on to travel the world with her work, eventually heading up the Stability Section of the Royal Aircraft Establishment at Farnborough. 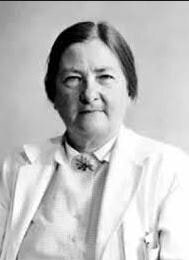 Dame Caroline Haslett was a champion of women in engineering and also the founding member of the Electrical Association for Women. Constance Tipper was an English metallurgist and crystallographer. She specialized in the investigation of metal strength and its effect on engineering problems. During World War II she investigated the causes of brittle fracture in Liberty Ships. 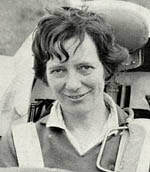 Lady Heath was an Irish aviator and became the first woman to hold a commercial flying licence in Britain. 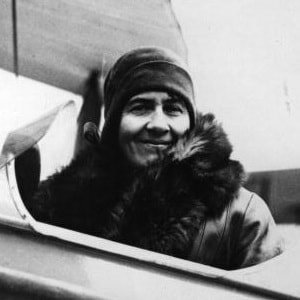 She set records for altitude in a small plane and later a Shorts seaplane, was the first woman to parachute from an aeroplane (landing in the middle of a football match). 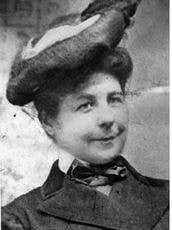 Victoria Alexandrina Drummond MBE was the first woman marine engineer in Britain and first woman member of Institute of Marine Engineers. During World War II she served at sea as an engineering officer in the British Merchant Navy and received awards for bravery under enemy fire after singlehandedly keeping the engine room on the SS Bonita running while under attack from the Germans. Dorothée Pullinger was awarded an MBE aged just 26 for her work during the First World War. A founder member of the Women’s Engineering Society, Pullinger’s legacy continues today. 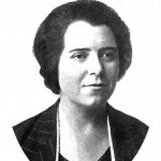 Pullinger was first female member of the Institution of Automobile Engineers in 1920, which later merged with the Institution of Mechanical Engineers in 1947. 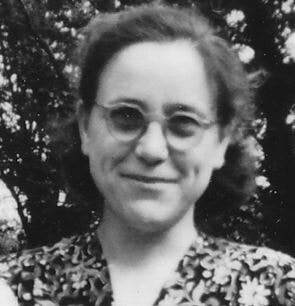 Verena Holmes dedicated her life to encouraging the development of women engineers. She was a member of the Women’s Engineering Society and in her own engineering firm, set up in 1946, employed only women. She studied at Loughborough University. 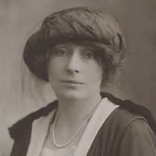 In the First World War, Rachel Parsons co-directed an engineering firm and taught hundreds of women to make munitions. Later, she fought for women’s employment rights. An engineer, a campaigner for women's employment rights and a founder member of the Women's Engineering Society. She studied maths at Girton College, Cambridge and then taught at Roedean school. She was appointed a director of the electrical engineering firm M. Partridge & Co., founded by her friend Margaret Partridge, where she stayed until 1953. 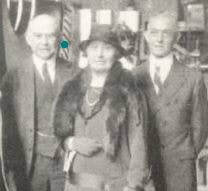 Miss Benest, or Miss Cleone Griff as she was more widely known, was one of the early members of the Iron and Steel Institute 1921 (now the Institute of Materials, Minerals and Mining) although not its first woman member. She was a keen car rally competitor, and one of the first women admitted to the Incorporated Institute of Automobile Engineers, in 1920. She joined the Women's Engineering Society in 1920 and was prominent in explaining the use of electricity to women. As a consultant engineer she offered expert advice on automobile, electrical, and mechanical engineering. Her garage workshop for lady motorists, behind 48 Dover Street, Mayfair, did mechanical repairs, and gave courses in motor mechanics and factory practice for women supervisors in munitions factories. Willson was born in Halifax and worked from the age of 10 in a textile mill. She was imprisoned twice as a prominent suffragette, and was founder of the Women's Engineering Society and the Electrical Association for Women. She married George Willson and went into the lathe making business. She was also a prominent house builder in the Yorkshire region. She was awared an MBE in the first ever batch of awards in 1918. Read her entry in the Oxford Dictionary of National Biographies here. 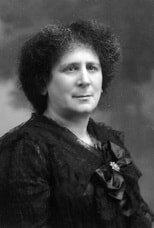 Hertha Ayrton was a pioneer in the application of science to practical engineering problems and was one of the first women to work in electrical engineering in the UK. She was the first female member of the IEE, what is now the Institution of Engineering and Technology (IET). 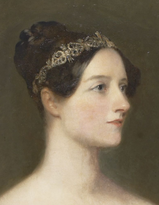 Ada Lovelace wrote the first complete and elaborate computer program, which she published in 1843. She was also the first person to realise that a general purpose computer could create music and art. Sarah Guppy was a friend and contemporary of Isambard Kingdom Brunel and Thomas Telford, and contributed to the design of Britain's infrastructure including the Clifton Suspension Bridge in Bristol. She also developed several domestic products - in particular ones which made women's lives easier. She had 6 children.